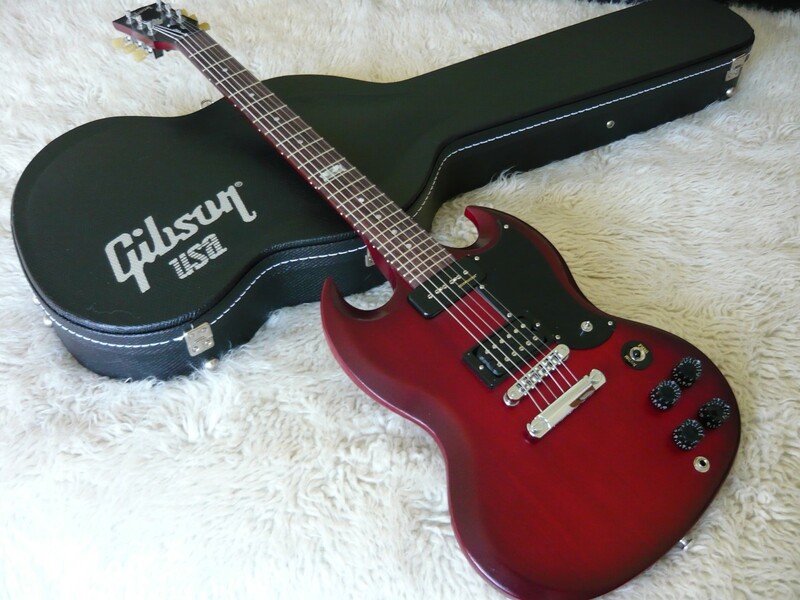 The Gibson 2014 SG Futura Electric Guitar celebrates Gibson's 120th Anniversary in style. It has a solid mahogany body and a maple neck with a '60s slim profile. The 24-fret rosewood fingerboard has trapezoid inlays. "Max Grip" Speed knobs re-invent guitar controls. Electronics include the P-90H Sidewinder and BB3 with Push/Pull for coil split and mini toggle for 15dB boost. This SG Futura benefits from the full array anniversary bonuses including max grip speed knobs, a Graph Tech nut and chrome tune-o-matic bridge. It also comes with Gibson's Min-ETune tuning machines.